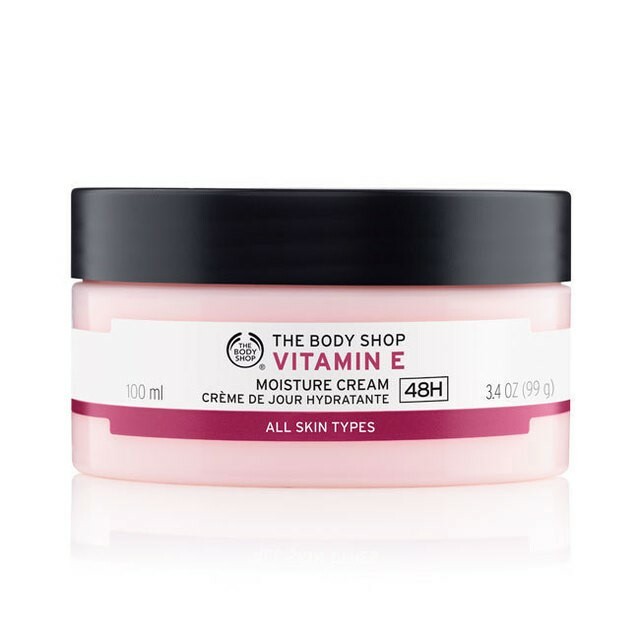 The Body Shop Malaysia : My Top 3 Products! The Body Shop had always been one of my favorite brands after my roommate had introduced their tea tree oil skincare line to me during my preparatory college years. The Body Shop had pledge on ethical trade and is also 100% cruelty free and vegetarian, which in turn makes me feel good whenever I made a purchase of their products. I had taken a class in trade anthropology and supporting ethical trade brands will eventually help rural farmers and traditional artisans to lead better lives. The best thing about all of these? The Body Shop products works wonders, and their body and bath line up smells really great so there is no wonder that Body Shop products are popular all across the world. Below, I had listed down Top 3 of my all-time favorite products from The Body Shop. 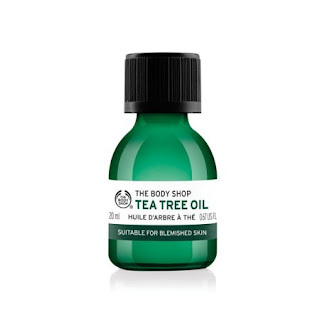 The tea tree oil is my first love from The Body Shop and is their bestseller for over 20 years. This oil magically reduces the size of my blemish overnight and is not as drying as the typical over the counter acne medication cream, so I do not have to worry about flaky and dry skin the next morning. It is also soothing and smells really really good – almost citrusy, the regular tea tree oil scent. Since my sisters swear by this oil as well (perks and downside of having sisters – sharing! ), I found myself having to repurchase this oil every couple of months, so having a Jumbo sized one reassure me that I will not run out of this magical worker anytime soon! P/s: Wash your hands after using it though or use a cotton bud! I made a mistake of rubbing my eyes after using it once and it does sting a little. Nothing major though XD. 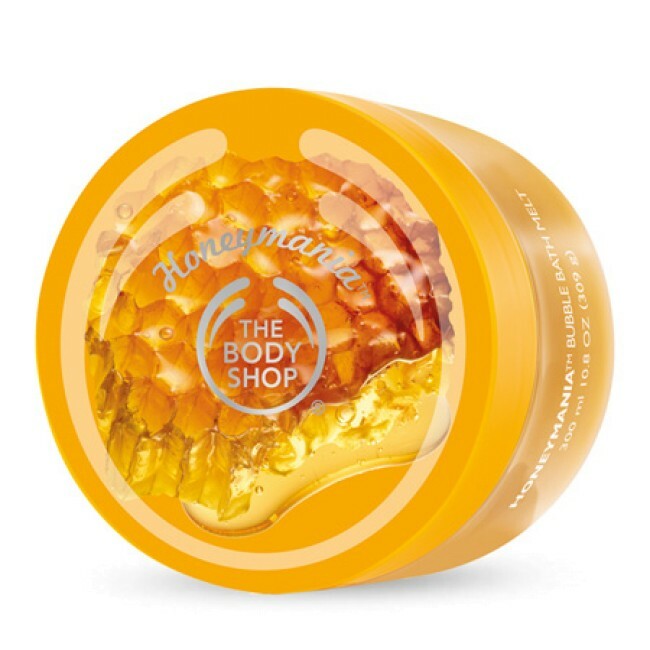 The Honeymania bath and body line is absolutely one of my obsessions, because I like everything that has honey and brownie points to those that smells like one too. Every single products in this line smell so deliciously sweet, makes you and your bathroom smells like pure honey mixed with vanilla plus they will leave your skin supple, nourished and soft. This one, however takes the cake because it literally looks like honey. Drizzling this bath melt into your tub will create a heavenly rich foamy bubble bath that is just perfect to melt all your stress away. This cream is the knight and savior in a jar for my dry skin during winter 2014 in the brutal Midwest US (curse you polar vortex!). I bought this cream on a whim, and it is definitely one of the buys that I did not regret in my book and helped my skin survived the dry and cold season. I had been looking for a replacement, but really, nothing beats this luxurious cream that just leave your skin hydrated and soft. I do feel this cream is a bit rich for our humid weather, but if you spend most of your time in air-conditioned places, look no further! Any of these products catch your attention? Don’t worry, The Body Shop has other products as well so go ahead and start browsing online today! This is a non-cash sponsored article but all opinions formed are solely my own. so far no try any of their products yet. I love Body Shop products too. Gentle on the skin and smells so good. I love Body Shop products too...That bath melt looks great! The Body Shop is one of my favourite stores as well. I love so many of their products, I dare not enter their shop as I bust my budget every time. wow! I have never purchase anything from body shop before tbh. But, that Tea tree oil seems like a good product!